Cranes tower over a building development underway as people walk past a bus stop in Lewisham on August 22, 2017 in London. A digger sits outside a housing development underway in Elephant and Castle on July 21, 2017 in London. A commuter cycles past the Elephant and Castle shopping centre on August 22, 2017 in London. A pile of rubble sits within the building site of a new housing development in Elephant and Castle on July 21, 2017 in London. Orange cladding sits on a block of flats next to a row of terraced houses in Elephant and Castle on July 21, 2017 in London. 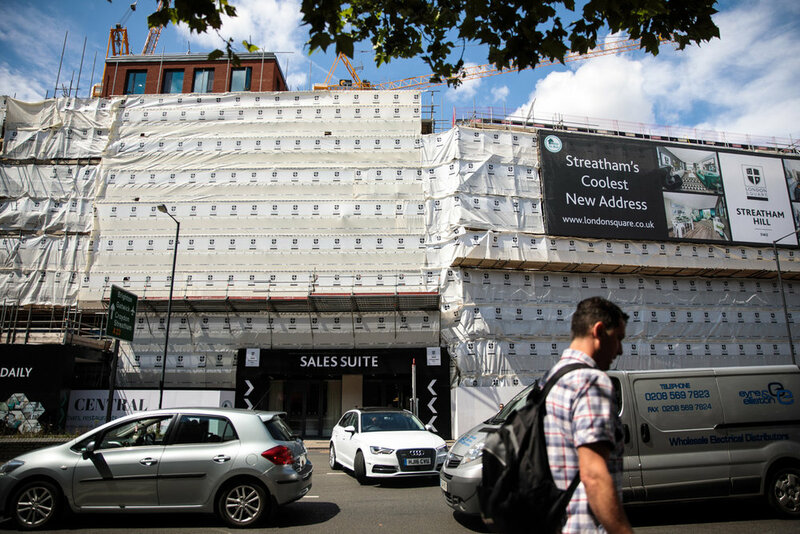 The recently-completed Park Heights development stands behind a row of shops in Brixton on July 21, 2017 in London. The Electric Brixton nightclub venue sits next to a building development underway on Brixton Hill on July 21, 2017 in London. Cranes tower over a building development in Elephant and Castle on August 22, 2017 in London. People wait to cross the road in front of a building development underway on Brixton Hill on July 21, 2017 in London. Traffic makes its way past a housing development underway on Streatham High Road on July 21, 2017 in London. A cyclist and young people make their way through The Oval Quarter, formerly the Myatts Field North estate in Lambeth on July 21, 2017 in London. Cranes tower over the Battersea Power Station development July 21, 2017 in London. A young woman walks past a housing development and the North Lambeth Area Housing Office in Kennington on August 22, 2017 in London, England. 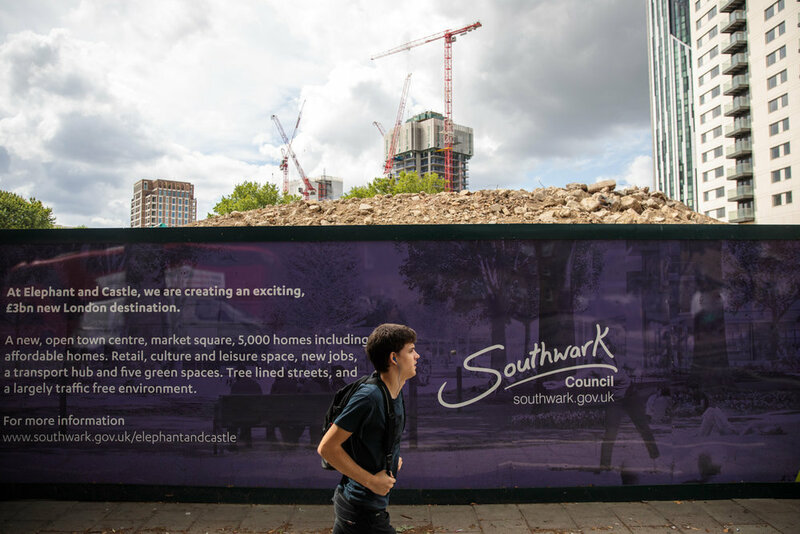 A man walks past a parade of shops and restaurants which sit in front of a housing development underway in Elephant and Castle on August 22, 2017 in London. 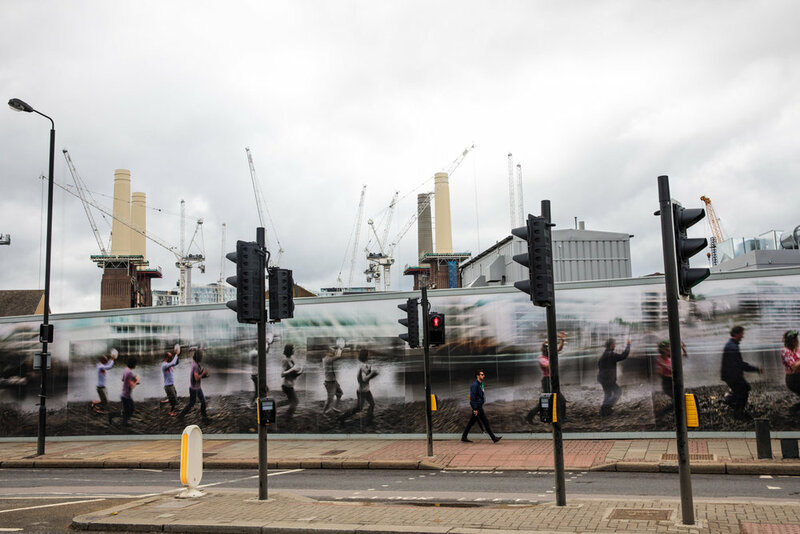 People make their way past a former pub as cranes tower over a new building development underway in Deptford on September 07, 2017 in London.